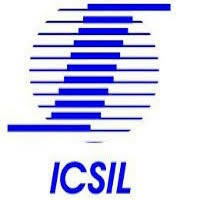 ICSIL Jobs Recruitment Notification 2018.Intelligent Communication Systems India, ICSIL inviting applications for the positions of Statistical Assistant.Interested and Eligible candidates can apply for the positions. Number of statistical officer posts on contract basis to be filled is 25 in ICSIL. Post graduate degree holders in statistics/ operations from a recognized university can apply. Applicants age must be below 35 years in order to apply. Rs.18,332/- will be paid as monthly income for selected candidates of statistical officer post. Through online mode from 05th September 2018 to 18th September 2018 candidates can apply for ICSIL recruitment. http://icsil.in/jobs/ is the link for aspirants to apply directly.